Through October 17 – “Double Durang: An Evening of One Acts by Christopher Durang” at the Lab Theatre. Included in this production will be For Whom the Bell Tolls and Wanda’s Visit. For more information visit https://sc.edu/study/colleges_schools/artsandsciences/theatre_and_dance/theatre/productions/lab_theatre/doubledurang.php. Through October 19 – Nightmare Trail at 918 Shady Grove Road in Irmo. What better way to enjoy the fright of Halloween than a creepy walk through the woods! For more information visit https://nightmaretrail.com/. Through October 21 – Restaurant Week Columbia at a variety of locations around the city. Here is a chance to enjoy one of the many restaurants in the area participating in this event. For more information visit https://restaurantweeksouthcarolina.com/city/columbia/. Through October 21 – South Carolina State Fair at the South Carolina State Fairgrounds. It’s that time again to plan for a trip to the Fair to enjoy fun rides, food, live entertainment to include Scotty McCreery and The Tempatations and the Four Tops, attractions to include animated dinosaurs and live animals, agriculture shows, art contests, and more! For more information call (803) 799-3387 or visit https://www.scstatefair.org/sc-state-fair. Through October 31 – Gilbert House of Terror at 739 Harley Taylor Road in Gilbert. Halloween is upon us and it’s time to get your fright on, so come experience the terror of this SCARY local attraction! For more information call (803) 892-5396 or visit http://www.gilberthouseofterror.com/. Through October 31 – Scarecrow’s In The Garden at the Robert Mills Gardens. Come out and see the scarecrows created by individuals and families, and if you wish to create one to place in the garden, contact the Historic Society at the information below prior to the Trunk or Treat on October 26th. For more information call (803) 252-7742 or visit https://www.historiccolumbia.org/events/2018/2018-10/scarecrows-garden-exhibit-opens. Through November 3 – Dark Castle Haunted Attractions at 2076 Highway Church Road in Elgin. There are three different opportunities to be frightened, so come check this attraction out! For more information call (803) 309-5586 or visit http://darkcastlesc.com/. Through November 3 – “Silence! The Musical” at the Trustus Theatre. This unauthorized parody of Silence of the Lambs is a hilarious musical that is perfect for the Halloween season! For more information call (803) 254-9732 or visit https://trustus.org/event/silence-the-musical/. Through November 3 – Deceased Farm at the Clinton Sease Farm. If you enjoy being scared, be sure to pay this venue a visit . . . if you dare! For more information call (803) 530-9434 or visit http://www.deceasedfarm.com/. Through November 9 – Young Artists Workshop at McMaster College on the USC Campus. Children ages 5 to 18 will have a chance to learn about the world of art and expand their knowledge base about the various forms of art through hands on activities. For more information send an email to yaw.usc@gmail.com or visit https://sc.edu/study/colleges_schools/artsandsciences/visual_art_and_design/beyond_the_classroom/young_artists_workshop/index.php. Through November 11 – Corn Maze at Clinton Sease Farm. This year’s theme is the honey bee, so be sure to check the new maze out! For more information visit http://www.clintonseasefarm.com/. Through November 23 – Kids Corn Maze at Wingard’s Market. Bring the little ones out for a small corn maze with the little ones in mind. For more information call (803) 359-9091 or visit https://wingardsmarket.com/kids-corn-maze/. October 17 – Cabaret: Female Impersonator Show at the Comedy House. This is guaranteed to be a great show, so don’t miss the chance to see it. For more information call (803) 798-9898 or visit https://comedyhouse.us/comedy-calendar/. October 17 – Madhubani Painting at the Columbia Art Center. Learn about this Indian art style that originally used nature to create the intricate designs. For more information call (803) 545-3093 or visit https://www.columbiasc.gov/depts/parks-recreation/October%202018%20Workshops%20P1.pdf. October 17 – “Coby” at the Nickelodeon Theater. This documentary tells the story of Suzanne who transitions into a man at the age of 23 and tells the story of not only his change, but the changes in his family and friends as well. For more information call (803) 254-8234 or visit http://nickelodeon.org/films/coby/. October 17 – “Modest Mouse” at the Township Auditorium. Spend an evening enjoying some rock music by this talented musical group! For more information call (803) 576-2350 or visit http://www.thetownship.org/events/. October 18 – The Great American Whiskey Fair at City Roots. In attendance will be over 100 distilleries and bottlers and over 500 different varieties of whiskeys, bourbons, and ryes with BBQ available to fill your stomach before hand. For more information call (803) 553-2726 or visit http://www.f2tproductions.com/new-events/2018/9/27/the-great-american-whiskey-fair. October 18 – “Tokyo Joe” at Vista After Five in the Vista. Spend an evening in the beautiful outdoors as you enjoy fun entertainment by this favorite local band! For more information call (803) 252-9392 or visit https://www.facebook.com/events/265335690774298/. October 18 – Song Bird Café at the USC Alumni Center. Spend an evening enjoying wonderful foods and spirits, followed by music by Larry Stewart, Tim Rushlow and Cody Webb with proceeds to benefit the shelters of Sistercare that house local domestic violence victims and their children. For more information visit http://www.sistercare.org/event/16th-annual-sistercare-song-bird-cafe/. October 18 – 19 – Haunted History Halloween Program at the Lexington County Museum Complex. Visitors will enjoy a walk around the Museum to hear stories of yesteryear, as well as a chance to hear ghost stories and other strange historical stories from the area. For more information call (803) 359-8369 or visit http://lexingtoncountymuseum.org/events/. October 18 – 21 – Conference of the Urban History Association at several locations around Columbia. More than 550 urban historians, writers, scholars and journalists will present on panels, roundtables, plenaries, and tours at this event. For more information visit http://www.urbanhistory.org/Columbia2018. October 18 – 21 – “Benji Brown” at the Comedy House. Take a break from the stressors of life and enjoy at least one show of this amazingly talented comedian! For more information call (803) 798-9898 or visit https://comedyhouse.us/comedy-calendar/. October 19 – “Ashes of Old Ways” with “Emma Kate McClain” at the West Columbia Amphitheater. Enjoy a fall Friday evening on the River enjoying great music in a fabulous setting! For more information visit https://www.facebook.com/events/227598564763996/. October 19 – “Resurrection” at the Icehouse Amphitheater. Enjoy music by the band Journey with this tribute band, as you enjoy a Friday night out! For more information call (803) 358-7275 or visit http://icehouseamphitheater.com/events/. October 19 – “Le Corsaire: A Classic Pirate Tale” at the Koger Center for the Arts. You’ll take a pirate journey like no other in this beautiful ballet. For more information call (803) 777-7500 or visit http://www.kogercenterforthearts.com/event.php?id=619. October 19 – “Newsboys United” at the Township Auditorium. You’ll enjoy an evening of inspirational music by this talented Christian group! For more information call (803) 576-2350 or visit http://www.thetownship.org/events/. 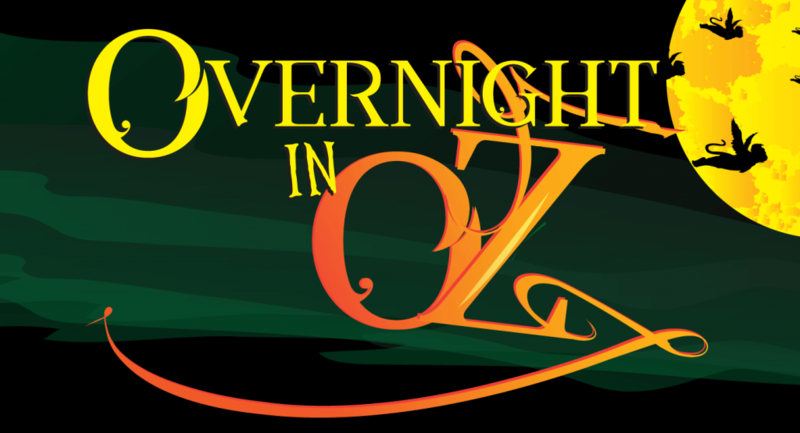 October 19 – 20 – Overnight in Oz at the South Carolina State Museum. Enjoy a night at the museum and enjoy the Wizard of Oz 4D Experience, a planetarium show, take a ghost tour, and more, with a pizza dinner and a continental breakfast in the morning. For more information call (803) 898-4921 or visit http://scmuseum.org/museum-of-oz/overnight-in-oz/. October 19 – 20 – South Carolina Pride Festival and Parade on Main Street in downtown Columbia. This weekend will be filled with a variety of entertainment, educational opportunities, and community outreach to celebrate the LGBTQ+ community and those who support them. For more information visit https://scpride.org/festival/. October 19 – 30 – Boo at the Zoo at the Riverbanks Zoo. Bring the kids out to enjoy trick or treating, enjoying the beautiful Halloween lights and displays, enjoy a marshmallow roast, and so much more! For more information call (803) 779-8717 or visit https://www.riverbanks.org/events/boo-at-the-zoo. October 20 – Riverfront Park “Happy Hour” at Riverfront Park. Bring the kids and other family members including the dog out for a fun afternoon in the Park with games and activities, a dog costume contest, beer from Bierkeller and food and other refreshments from the food truck vendor Wurst Wagaon. For more information call (803) 545-3100 or visit https://www.columbiasc.gov/parks-recreation/programs-activities/outdoor. October 20 – Home Movie Day at the Nickelodeon Theatre. This is a free event that will showcase amateur films and filmmaking from one of USC’s collections. For more information call (803) 254-8234 or visit http://nickelodeon.org/events/home-movie-day-2/. October 20 – WOD For The Fallen at CrossFit Optimize on Williams Street in Columbia. Helping to raise money for the SC Run for the Fallen to help close streets and properly pay policemen/women who help man the run from Charleston to Columbia honoring every fallen military man and women since 9/11/2001 so come out for a day to challenge yourself . . . or just donate if you can’t participate in this great cause. For more information visit http://www.scrunforthefallen.org/event/wod-for-the-fallen/. October 20 – Trinity’s Fall Festival at Trinity United Methodist Church. Spend part of your Saturday enjoying some time at this enjoyable event with BBQ, bounce houses, and vendors with proceeds to benefit Epworth’s Children’s Home, the United Methodist Committee on relief, and the church’s capital fund to repair the roof. For more information visit https://www.facebook.com/events/304982860074985/. October 20 – Indoor Yard Sale at Crooked Creek Park. If you’ve been working on cleaning out odds and ends from your home, here is a chance to be a vendor to get rid of it, or just pop in and see what good bargains you can find! For more information call (803) 345-6181 or visit https://www.icrc.net/event/indoor-yard-sale. October 20 – “Edwin McCain” with “Prettier Than Matt” at the Icehouse Amphitheater. Spend an evening enjoying music by this Greenville native and local favorite in a fun outdoor setting! For more information call (803) 358-7275 or visit http://icehouseamphitheater.com/events/. October 20 – Sewing Basics at the Columbia Art Center. Bring your own machine and a project to work on and gain support on tackling the art of sewing in this informal class. For more information call (803) 545-3093 or visit https://www.columbiasc.gov/depts/parks-recreation/October%202018%20Workshops%20P1.pdf. October 20 – Mixed Media Jewelry at the Columbia Art Center. Learn a variety of techniques to create jewelry to create beading and wire wrapping and take something home that you’ve created. For more information call (803) 545-3093 or visit https://www.columbiasc.gov/depts/parks-recreation/October%202018%20Workshops%20P1.pdf. October 20 – Ray Tanner Home Run at Founders Park. This extremely popular event includes a 12K run, a 5K run/walk, and a 1 mile fun run with proceeds to benefit a number of great non-profit organizations in the area. For more information visit https://www.raytannerfoundation.org/home-run.html. October 20 – Fur Ball Moonlight Gala at the Columbia Metropolitan Convention Center. Spend an evening enjoying a cocktail reception, dinner, live and silent auctions, raffles, and more with proceeds to benefit the wonderful work of Pawmetto Lifeline. For more information call (803) 465-9150 or visit http://www.pawmettolifeline.org/events/wwwpawmettolifelineorgevent/2018/10/20/furball2018/. October 20 – Long’s Bar Stool Classic in Five Points. If you enjoy golf or even putt putt and enjoy bar hopping, here is a chance to prove your skills at this 8-hole putt putt bar crawl to see if you can win the $500 with proceeds to benefit the Babcock Center Foundation. For more information visit http://www.fivepointscolumbia.com/events/10th-annual-long-s-bar-stool-classic. October 21 – Hampton–Preston Mansion & Gardens Tour at the Mansion on Blanding Street. The mansion was recently renovated and this Sunday those who live in Richland and Lexington Counties get to tour the mansion for only $1.00! For more information call (803) 252-1770 ext. 23 or visit https://www.historiccolumbia.org/events/2018/2018-10/dollar-sunday-hampton-preston-mansion-gardens. October 21 – Student Short-Film Competition Showcase at the Nickelodeon Theater. Here is yet another free Nick event showcasing short films created by students from all over South Carolina with four different categories of competition, so come see the hard work these kids have done and then choose your favorites! For more information call (803) 254-8234 or visit http://nickelodeon.org/films/2018-student-short-film-competition-showcase/. October 21 – Lake Scare-o-Lina at the Jeep Rogers YMCA at Lake Carolina. Bring the kids out for a fun family fall festival! For more information visit http://www.lakecarolina.com/images/2018Events_Calendar.pdf. October 21 – “The Last Suit” at the Nickelodeon Theater. An aged master tailor is faced with spending his life in a retirement home after his children sell his home, and he decided he is going to take a journey with the last of his money to travel to his childhood home in Poland to deliver a suit to his childhood friend who saved his life during the Nazi occupation. For more information call (803) 254-8234 or visit http://nickelodeon.org/films/the-last-suit/. October 21 – Buddy Walk at Saluda Shoals Park. This event is to raise awareness about and in support of those with Down syndrome with proceeds to benefit Family Connections of SC who supports families of those with Down syndrome. For more information call (803) 252-0914 or visit https://www.ds-stride.org/columbiabuddywalk. October 21 – “The Breeders” at The Senate at the Tin Roof. Spend your evening enjoying great rock and roll by this talented band! For more information call (803) 252-9392 or visit https://www.ticketweb.com/event/the-breeders-the-senate-tickets/8584055?pl=tinroofAEG. October 23 – Food Trucks in the Gardens at the Robert Mills House. Take a lunch break to enjoy the beautiful gardens of the Robert Mills House while enjoying a variety of tastey foods! For more information call (803) 252-7742 or visit https://www.historiccolumbia.org/events/2018/2018-10/food-trucks-gardens. October 23 – Riverfront Park Happy Hour at Riverfront Park. Spend some relaxing time after work at the Park with games, activities, beer from Bierkeller and food and other refreshments from the food truck vendor Wurst Wagaon. For more information call (803) 545-3100 or visit https://www.columbiasc.gov/parks-recreation/programs-activities/outdoor. October 23 – “Scandal in Ivansk” at the Nickelodeon Theater. This eye opening documentary tells the story of why much of the nation of Poland won’t allow the use of the word “collaborator” to describe the Polish people who aided the Nazis and benefitted from the genocide of the Jews. For more information call (803) 254-8234 or visit http://nickelodeon.org/films/scandal-in-ivansk/. October 24 – “The Cakemaker” at the Nickelodeon Theater. A young German baker is having an affair with a married Israeli man and when his partner is killed in a car crash, he infiltrates his life under a false identity and finds himself stretching the truth to the point of no return. For more information call (803) 254-8234 or visit http://nickelodeon.org/films/the-cakemaker/. October 24 – Beatbox Presents GTA “The Worlds Tastiest Party” at the Senate at the Tin Roof. Spend an evening dancing with this talented DJ mixers that will give you everything from “hip hop to booming electro”! For more information call (803) 252-9392 or visit https://www.ticketweb.com/event/beatbox-presents-gta-the-worlds-the-senate-tickets/8682835?pl=tinroof. October 24 – City of Stars Charity Fashion Show at the South Carolina State Museum. Over 100 professionals and philanthropists from across the State have volunteered to “showcase South Carolina based designer stellar ware” at this amazing event that will help raise funds for ColaJazz to support Music Education Programs for kids! For more information (803) 898-4921 or visit https://colajazz.com/event/city-of-stars-charity-fashion-show/. October 24 – 28 – “Black Kasper” at the Comedy House. Enjoy the chance to release some of your tension with some laughter with this hilarious comedian! For more information call (803) 798-9898 or visit https://comedyhouse.us/comedy-calendar/. October 25 – Growl at the Moon at the South Carolina State Museum. Enjoy an after-hours Halloween party celebrating the Museum’s 30th anniversary with music, food, craft beer, a Museum ghost tour, and more! For more information call (803) 898-4921 or visit http://scmuseum.org/events/growl-at-the-moon/. October 25 – “The Hunger” at the Nickelodeon Theater. Just in time for Halloween, you’ll enjoy this modern and archaic twist on vampirism staring David Bowie. For more information call (803) 254-8234 or visit http://nickelodeon.org/films/the-hunger/. October 25 – “Chris Stapleton” at the Colonial Life Arena. Make your plans now to see this incredibly talented country artist live right in our home town! For more information call (803) 576-9200 or visit https://www.coloniallifearena.com/events/detail/chris-stapleton. October 25 – Farm to Table Fundraiser on the 17th Floor of the Meridian Building of Nelson, Mullins, Riley and Scarborough LLC. Enjoy an evening of cocktails and fabulous food with a fantastic view of the city with proceeds to benefit the South Carolina Bar Foundation. For more information call (803) 576-3791 or visit https://scbf.networkforgood.com/events/8314-farm-to-table-fundraising-dinner. October 26 – Nature at Night at Sesquicentennial State Park. Experience the Park after dark with help from a Park Ranger. 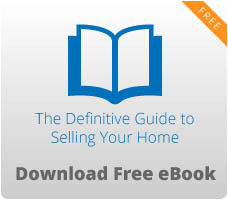 For more information call (803) 788-2706 or visit https://southcarolinaparks.com/products/10002811. October 26 – Holiday Greenery Sale at Historic Columbia. This is the last day to order your holiday greenery with proceeds from the sales to support the gardens and garden projects of Historic Columbia. For more information call (803) 252-1770 ext. 33 or visit https://www.historiccolumbia.org/GreenerySale. October 26 – Trunk-or-Treat at the Robert Mills House. Kids will have a safe place in which to wear their favorite Halloween costume and enjoy the fun of trick-or-treating with a costume contest as well as a best trunk decorated contest and don’t forget to enjoy the Scarecrows in the Gardens. For more information call (803) 252-1770 ext. 26 or visit https://www.historiccolumbia.org/events/2018/2018-10/trunk-or-treat. October 26 – Halloween at the Park at Crooked Creek Park in Chapin. Bring the kids out for a fun trick-or-treating event on the trail of the park with indoor games and activities including a costume and a SCREAM contest. For more information call (803) 345-6181 or visit https://www.icrc.net/event/halloween-park. October 26 – “BC Villanova” CD Release at the Icehouse Amphitheater. Enjoy this fun Halloween event with a costume contest with prizes, food and spirits, and great music by Brian Connor backed up by Villanova, with opening act The Herbie Jeffcoat Projeckt. For more information call (803) 358-7275 or visit http://icehouseamphitheater.com/events/. October 26 – “Love Me or Leave Me” Stage Production in the Skyline Room of the Tapp’s Art Center. In recognition of Domestic Violence Awareness month, this production will showcase drug addiction, mental abuse, and domestic violence in three couple’s romantic relationships. For more information call (803) 988-0013 or visit http://www.tappsartscenter.com/event/stage-production-of-love-me-or-leave-me/. October 26 – Bubble Q at City Roots. You’ll enjoy a variety of barbecues and the perfect champagne to pair it with, as well as live music. For more information call (803) 553-2726 or visit http://www.f2tproductions.com/new-events/2018/10/26/bubble-q. October 26 – Halloween Party’s at several local Park’s around the city. Bring the kids out for some Halloween fun! For more information call (803) 545-3100 or visit https://www.columbiasc.gov/parks-recreation/calendar. October 26 – Deadhead Masquerade Ball ft. “Cosmic Charlie” (High Energy Grateful Dead Tribute) at The Senate at the Tin Roof. Put on your masquerade and enjoy an evening with this Grateful Dead tribute band! For more information call (803) 252-9392 or visit https://www.ticketweb.com/event/deadhead-masquerade-ball-ft-cosmic-the-senate-tickets/8686025?pl=tinroof. October 26 – 27 – “Dracula: Ballet with a Bite” at the Koger Center for the Arts. Presented by the Columbia City Ballet, this is one of the areas favorite events so if you haven’t seen it, you will be in for a treat! For more information call (803) 777-7500 or visit http://kogercenterforthearts.com/event.php?id=570. October 26 – 28 – “Confessions of a Good Man 2” at the Harbison Theatre. Presented by WOW Productions, this sequel to the popular show of four brothers tells of their successes but then one of the brothers is betrayed. For more information call (803) 407-5011 or visit https://www.harbisontheatre.org/tickets-productions/confessions-good-man-2-0. October 27 – Halloween Zumbathon at Seven Oaks Park. Enjoy a little Zumba to benefit Meals on Wheels. For more information call (803) 772-3336 or visit https://www.icrc.net/event/halloween-zumbathon. October 27 – Wil-O-the-Wisp at Saluda Shoals Park. Bring the kids out for an evening of fun with a variety of activities and fun, to include animals from Carolina Wildlife Care, s’mores to make, face painting, crafts, and more! For more information call (803) 772-1228 or visit https://www.icrc.net/event/will-o-wisp. October 27 – Columbia Art Center’s One Year Anniversary Open House at the Columbia Art Center. If you haven’t seen the new Art Center, you should come see this fabulous new 5,000 square foot space just for those interested in learning a variety of creative arts with artists at work and pottery throwing demonstrations! For more information call (803) 545-3093 or visit https://www.columbiasc.gov/calendar/3327. October 27 – Diwali Party at the Columbia Art Center. Learn about this traditional form of celebration in India with the chance to paint already made clay diyas and create a Rangoli design for the celebration. For more information call (803) 545-3093 or visit https://www.columbiasc.gov/depts/parks-recreation/October%20%202018%20Workshops%20p2.pdf. October 27 – “Instrument” at the Nickelodeon Theater. Learn the story of the punk rock band Fugazi and their attempted journey to fame. For more information call (803) 254-8234 or visit http://nickelodeon.org/films/instrument/. October 27 – “RBRM- Ronnie, Bobby, Ricky, Mike” at the Township Auditorium. These guys will have you dancing in the isle so don’t miss a fun night of great entertainment by these talented artists! For more information call (803) 576-2350 or visit http://www.thetownship.org/events/. October 27 – Pumpkin Run at the Northwest Family YMCA in Irmo. This event will include a 5K run/walk, a kids fun run, and a run hard 1 miler to encourage novice runners and middle and high school kids to come out and give running a try to see if you can win in your category! For more information call (803) 748-9622 ext. 130 or visit https://racesonline.com/events/ymca-pumpkin-run-5k. October 27 – Welcome to the Hellfire Club in the Fountain Room of the Tapp’s Art Center. This is an occult dance event is a blend of pop music and the metaphysical with several different groups and performers. For more information call (803) 988-0013 or visit https://www.tappsartscenter.com/event/infinite-room-presents-welcome-to-the-hellfire-club/. October 28 – “Shalom Bollywood: The Untold Story of Indian Cinema” at the Nickelodeon Theater. In this film you will learn about the Jewish stars that dominated early Indian cinema because Hindu and Muslim women weren’t allowed to appear on screen. For more information call (803) 254-8234 or visit http://nickelodeon.org/films/shalom-bollywood-the-untold-story-of-indian-cinema/. October 28 – “Halloween at Hogwarts” at the Koger Center for the Arts. The South Carolina Philharmonic will take you on a journey to the world of Harry Potter! For more information call (803) 777-7500 or visit http://kogercenterforthearts.com/event.php?id=565. October 28 – “Sebastian Bach: The Original Voice of Skid Row” at the Senate at the Tin Roof. Here’s a chance to enjoy some great rock and roll from this former Skid Row vocalist. For more information call (803) 252-9392 or visit https://www.ticketweb.com/event/sebastian-bach-the-senate-tickets/8541955?pl=tinroof. 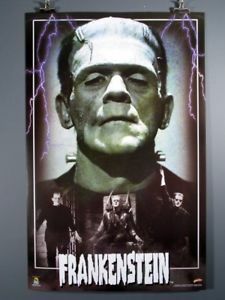 October 29 – “Frankenstein” at the Nickelodeon Theater. Get into the Halloween spirit with this classic horror film! For more information call (803) 254-8234 or visit http://nickelodeon.org/films/frankenstein/. October 29 – 30 – Halloween Parties and other Halloween Activities at a variety of local Parks around Columbia. For more information call (803) 545-3100 or visit https://www.columbiasc.gov/calendar/3327. October 30 – Riverfront Park Happy Hour at Riverfront Park. Spend some relaxing time after work at the Park with games, activities, beer from Bierkeller and food and other refreshments from the food truck vendor Wurst Wagaon. For more information call (803) 545-3100 or visit https://www.columbiasc.gov/parks-recreation/programs-activities/outdoor. October 31 – “Lake House” in the Skyline Room of the Tapp’s Art Center. Enjoy a fun Halloween party followed by this creepy horror film! For more information call (803) 988-0013 or visit https://www.tappsartscenter.com/event/lake-house-film-premiere/. October 31 – Spooktacular Halloween Carnival at the Dutch Square Mall. Bring the kids out for safe trick-or-treating, inflatables, carnival games, karaoke, exhibitors, and more! For more information call (803) 545-3100 or visit https://www.columbiasc.gov/calendar/3271. October 31 – “Halloween” at the Nickelodeon Theater. For those of you who love a good scare, this is the perfect way for you to spend your Halloween night! For more information call (803) 254-8234 or visit http://nickelodeon.org/films/halloween/. October 31 – A Ghouls Night Out Halloween Party with “Nevermind” and “ at The Senate at the Tin Roof. The evening will include Nevermind (a Nirvana tribute band), Hey Johnny Park (a Foo Fighters tribute band) and Blink 281 (a Blink 182 tribute band) so don’t miss out on the fun! For more information call (803) 252-9392 or visit https://www.ticketweb.com/event/a-ghouls-night-out-the-senate-tickets/8677675?pl=tinroof. November 1 – “Weightless” A Solo Exhibition by Ansley Adams at the Tapp’s Art Center. As a way to cope with her self-image, the artist used her paintings as a release and found self-acceptance and confidence that she wanted to share with others! For more information call (803) 988-0013 or visit https://www.tappsartscenter.com/event/weightless-a-solo-exhibition-by-ansley-adams/. November 1 – “if.else” at First Thursday in the Skyline Room of the Tapp’s Art Center. This interactive concert will allow others to use electronic instruments to create music while the duo flutists improvises in response to the sound. For more information call (803) 988-0013 or visit https://www.tappsartscenter.com/event/if-else-at-first-thursday/. November 1 – “Devin Dawson” at the Senate at the Tin Roof. You’ll enjoy a fun evening of country music with this very talented musician! For more information call (803) 252-9392 or visit https://www.ticketweb.com/event/devin-dawson-the-senate-tickets/8641185?pl=tinroofAEG. November 1 – 4 – “Bruh Man” at the Comedy House. For more information call (803) 798-9898 or visit https://comedyhouse.us/comedy-calendar/. November 2 – 3 –Palladium Fall Tour / 70s Kickoff Party at The Arcade on Main. Start the weekend with the Kickoff Party, followed by tours on Saturday that will allow you to experience some of Columbia’s lofts and buildings with food and spirits along the way. For more information call (803) 252-1770 and visit https://www.historiccolumbia.org/70sKickoffParty. November 2 – “Cody Jink” at the Township Auditorium. This country artist will amaze you with his incredible baritone vocals! For more information call (803) 576-2350 or visit http://www.thetownship.org/events/. November 2 – “Cannible Corpse” at The Senate at the Tin Roof. For the serious metal heads, this is one concert you won’t want to miss! For more information call (803) 252-9392 or visit https://www.ticketweb.com/event/cannibal-corpse-the-senate-tickets/8542395?pl=tinroofAEG. November 2 – Fundable at 701 Whaley Street. Celebrate a fun evening that will help create independence and offer support for those with disabilities while you enjoy scrumptious heavy hors d’oeuvres, an open bar, a silent auction, live music, and extra special guest and extremely talented artist Gaelynn Lea who was born with osteogenesis imperfecta! For more information call (803) 779-5121 or visit https://www.able-sc.org/fundable/. November 2 – 4 – Vintage Market Days at the South Carolina State Fairgrounds. If you enjoy antiques of all sorts, you won’t want to miss this incredible chance to find that one of a kind item you’ve been looking for! For more information visit https://www.facebook.com/events/1633533416773458/1770415056418626/?notif_t=admin_plan_mall_activity&notif_id=1539234016803637. November 2 – 28 – “The Buddy Holly Story” at the Town Theatre. You’ll spend an evening taking a walk down memory lane with the songs of this historic icon as you enjoy the story presented by our amazingly talented actors and actresses! For more information call (803) 799-6463 or visit http://towntheatre.com/buddy_holly/. November 3 – Walk in the Woods at Sesquicentennial State Park. Enjoy a walk through this beautiful State Park to learn about the delicate ecosystem that exists here. For more information call (803) 788-2706 or visit https://southcarolinaparks.com/products/10003110. November 3 – Festival for the Arts at the Icehouse Amphitheater. Artists and merchants from the Midlands will be showcase their products with some performing live on stage including theater and dance, with activities for the kids to include magicians and face painters! For more information call (803) 358-7275 or visit http://icehouseamphitheater.com/events/. November 3 – Children’s Pottery Workshop at the Columbia Art Center. With groups divided up by age, children will have a 3 hour workshop that will introduce them to the fun of working with clay and making pottery. For more information call (803) 545-3092 or visit https://www.columbiasc.gov/depts/parks-recreation/November%202018%20Workshops.pdf. November 3 – Chili Cook-Off in Five Points. Spend a day in Five Points with good music, craft beer, a variety of chili to taste, kid’s activities, and for those who don’t like chili, a food truck rodeo so don’t miss a fall day of fun! For more information call (803) 748-7373 or visit http://www.fivepointscolumbia.com/events/Chili-Cook-Off. November 3 – Korean Festival at 1412 Richland Street. This will be a day filled with Korean culture to include music, dancing, food, exhibits, children’s games, and just plain fun with proceeds to benefit a variety of local nonprofit organizations so bring the family out for a great cultural experience! For more information visit https://koreanfestival.co/. November 3 – 4 – 30th Anniversary Weekend at the South Carolina State Museum. In honor of the Anniversary, there will be free admission all weekend, as well as a fall festival on Saturday that will include hay rides, live music, craft beer, and BBQ on Saturday and Latin cuisine and music as well as costumed interpreters throughout the Museum and more on Sunday. For more information call (803) 898-4921 or visit http://scmuseum.org/events/30th-anniversary-weekend/. November 4 – SC Run for the Fallen 5K at the corner of Huger Street and Hwy. 378. This is a memorial run that will be incorporated in the Charleston to Columbia 117 Mile Race (November 3 – 4) with each mile honoring a fallen South Carolina military member since September 11, 2001! For more information visit http://www.scrunforthefallen.org/. November 4 – Waterparks” at The Senate at the Tin Roof. This young rock band will certainly be a college favorite! For more information call (803) 252-9392 or visit https://www.ticketweb.com/event/waterparks-the-senate-tickets/8626505?pl=tinroofAEG. November 5- Fall Harvest Dinner at City Roots. You’ll enjoy a family style four-course meal prepared with seasonal ingredients and with a welcome cocktail provided. For more information call (803) 553-2726 or visit http://www.f2tproductions.com/new-events/2018/11/5/november-harvest-dinner. November 5- “Lauv – Fall 2018 Tour” at The Senate at the Tin Roof. This incredible singer, songwriter, and record producer is prepared to provide you with an evening filled with his beautiful music. For more information call (803) 252-9392 or visit https://www.ticketweb.com/event/lauv-fall-2018-tour-with-the-senate-tickets/8376905?pl=tinroofAEG&edpPlParam=%3Fpl%3DtinroofAEG. November 5 – 6 – Richland County Tax Sale at the Township Auditorium. For more information call (803) 576-2350 or visit http://www.thetownship.org/events/. November 6 – Kids NASCAR Trip at both Crooked Creek Park and Seven Oaks Park. The kids have the day off and will have a chance to tour the NASCAR Hall of Fame in Charlotte in a very hands-on and interactive experience for great STEM learning! For more information call (803) 345-6181 for Crooked Creek Park and (803) 772-3336 for Seven Oaks Park.